Rear protection bar featuring anodized alloy step tread and chrome outer loops. 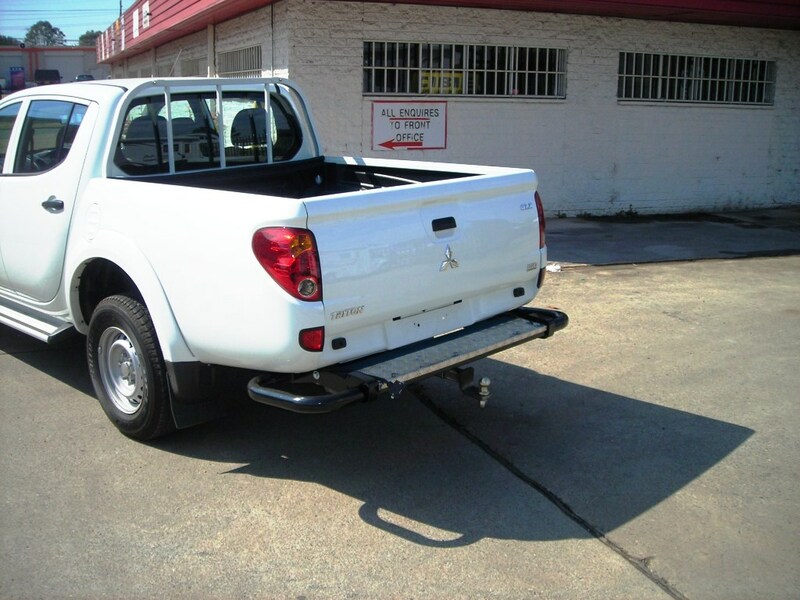 Available no tow, Std bolt-on tongue and hitch style tow ball mount configurations. Rear protection bar featuring anodized alloy step tread and black outer loops. 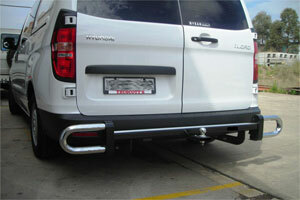 Available in no tow, Std bolt-on tongue and hitch style tow ball mount configurations. 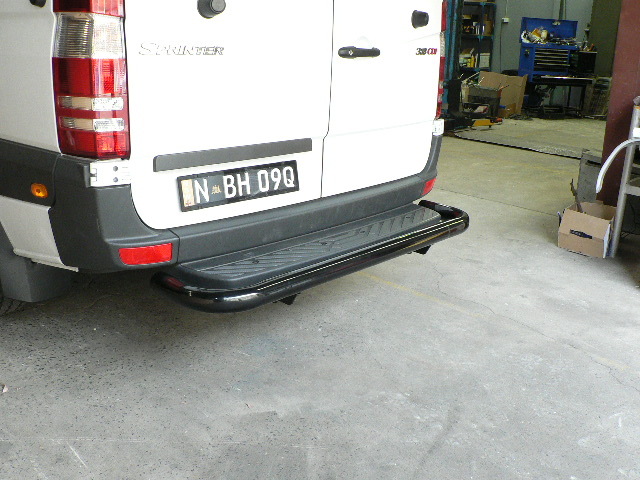 Rear protection bar featuring chequerplate alloy step tread. Available in no tow, Std bolt-on tongue and hitch style tow ball configurations. 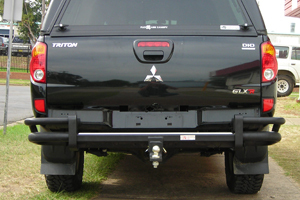 Rear protection bar featuring anodized step tread and twin wrap around tubes to protect rear quarter panels. 50mm Square Tow hitch is welded to the underside of the step section. Suits most earlier model Japanese utes but has been replaced on later models by our XHD range. 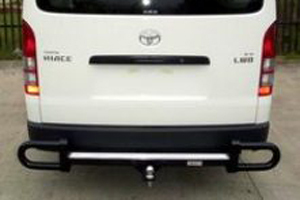 Separate Heavy Duty class 4 tow bar. Hitch style tow ball mount. 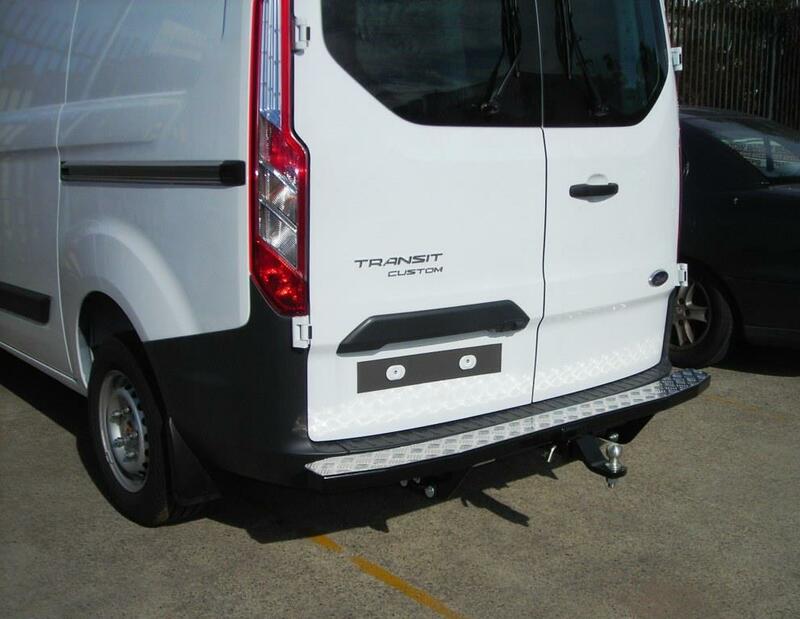 Bolt on twin wrap around protection bar with tubes to protect rear quarter panels. Suits later model Japanese utes. Part Number TTXHD + vehicle details. Bolt on single wrap around protection bar with tubes to protect rear quarter panels. Part Number STXHD + vehicle details. 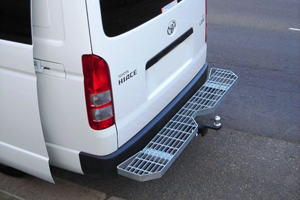 Rear protection bar featuring Galvanized step tread. Heavy Duty Class 4 hitch style. 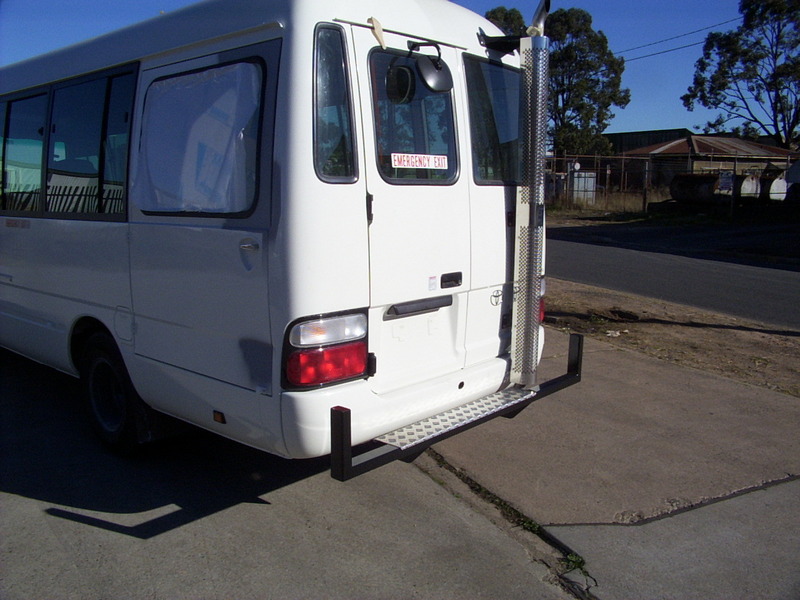 See Mercedes Sprinter (10-06-on) or Volkswagen Crafter (02/07-07/17) applicable pages for more photos. *Chrome finished tube is no longer available. 75x50x4mm RHS step and horns. Anodised or Chequer plate alloy step tread.